The VARIOStore storage tent Professional is exceptionally suited for year-round use. Thanks to its individual side panels, it offers many body variants and thus a high degree of customisation. In the Professional quality, the tent has the strongest frame of the VARIOStore line. 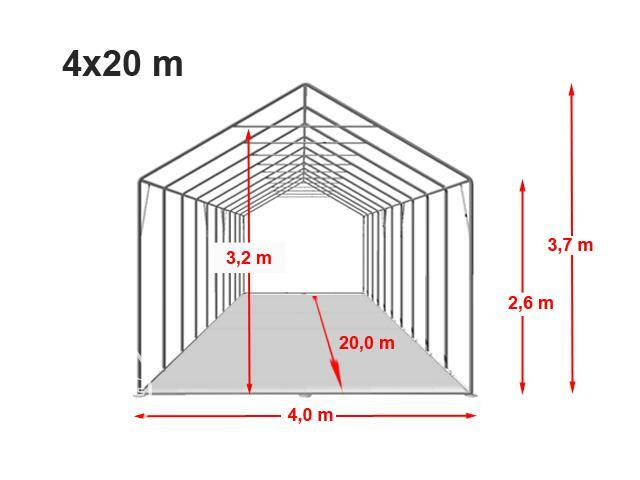 With a lateral height of 2.6 m, this VARIOStore storage tent offers a pleasant comfort height with up to 30% more space compared to the standard lateral height of 2m. The strong 550 g/m² PCV tarpaulin is UV-resistant and 100% waterproof. The high sun protection factor of 80+ protects the stored goods ideally against UV radiation. The assembly time is with 5 - 6 persons on average 2,5 - 3 hours.